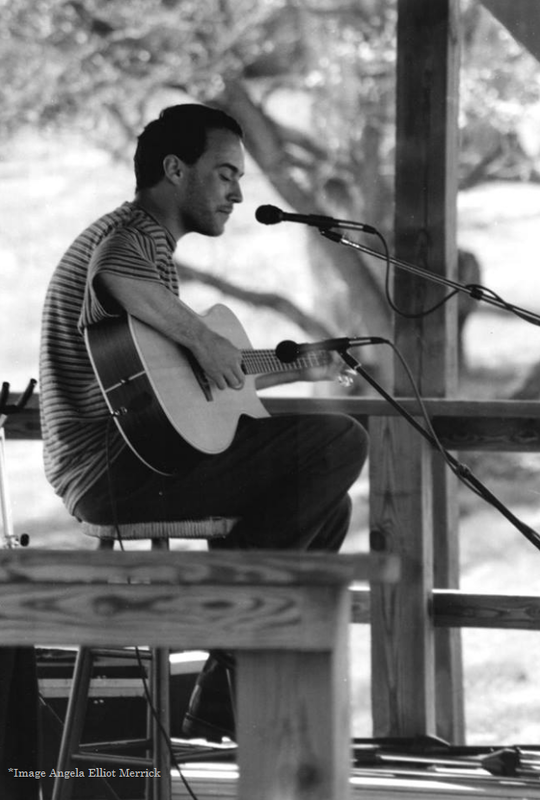 On the prettiest Spring day in 1996, during my senior year at Sweet Briar, Dave Matthews played in our Dell. Just him and a guitar...... And it was a perfect day -- we all sat & listened, with the beer garden near by. The ground swell surrounding Dave and the band was already in full force, having gone from playing fraternity houses and local bars in the Virginia area during my class's freshman year and getting ready to launch worldwide by the time we were seniors. Dave Matthews has deep ties to Sweet Briar. So, we couldn't be more thrilled to learn that on the heels our Reunion Weekend (I attended my 20th), the band announced that they will be releasing the original acoustic recording from our senior year dell party -- Live At Sweet Briar College, April 14, 1996. Live At Sweet Briar College will be a 2 CD set and will be available for pre-order later this summer. The absolutely sweetest news of this announcement >>> *All proceeds will benefit Sweet Briar College! Listen here to a preview track -- Pay For What You Get. An ENORMOUS thanks to David, Stefan, Carter, Boyd, Fenton and everyone helping to make this possible!